Bed bug infestations are on the rise in the United States. 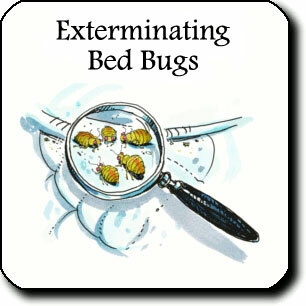 The troublesome biting bugs are increasingly found in hotels, motels, college dorms, apartments and homes. They are also found in office buildings, movie theaters and even dry cleaners. Bed bugs had all but vanished from the U.S. in recent decades. Whats behind the resurgence? Experts point to increased travel, greater resistance to insecticides, and lack of awareness in todays society. Data Loggers, both wireless and non-wireless, are perfect for monitoring a room and capturing critical temperature data without opening the door during the eradication process. Data Loggers are available in a variety of price ranges and features. Bluetooth Wireless loggers allow users to easily monitor temperatures in the field on a mobile device. This allows you to review data right away rather than having to wait to plug the logger into a PC. Includes (5) EL-USB-1 Loggers, (5) Protective Caps and (5) 1/2 AA Lithium Batteries. PC Compatible Software Available for Download.